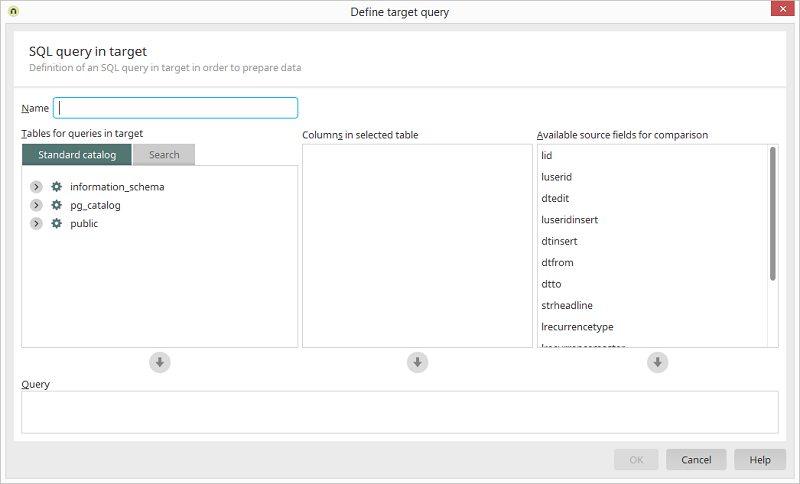 If data should be transferred after being filtered, you can formulate a target query here. Afterwards, the query result can be assigned in the field assignment as usual. Enter a name for the SQL query. You can search for specific tables here. Simply enter the corresponding search term. The search is performed across all catalogs. The name of the catalog is shown here. The name of the schema is shown here. The name of the object is shown here. Select the desired column here. The fields from the source, whose values should be compared, can be selected here. 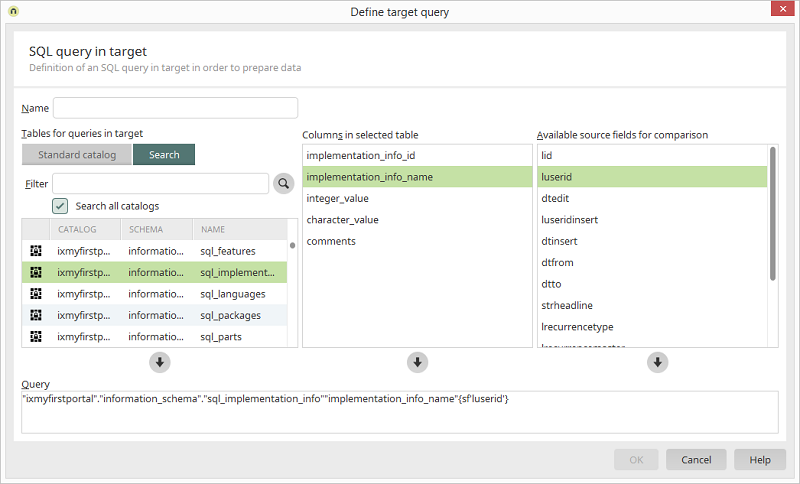 In each case, enters the selected object automatically into the query. You can see the request, which was created automatically based on the object selected above, at the bottom of the dialog. Please make sure to use the correct, database-dependent syntax when formulating the query.